I can do nothing better today than to recommend to you this article in The Guardian, about the website savethewords.org. Essentially, it's a site where they will give you an obscure and moribund word and encourage you to slip it into conversations, letters, ransom notes and the like. The idea is that words like mingent and sparsile will thus live again. Mingent means urinating, and sparsile describes a star that is not in any constellation. Though mingent amuses, I think sparsile is more sad and more slipinable. I am a sad and sparsile wanderer, or The Defence Secretary is not part of any of the powerful groups within the party and his sparsile position has left him vulnerable in a reshuffle. So toddle over to savethewords.org. It may be quixotic, but I hate windmills. 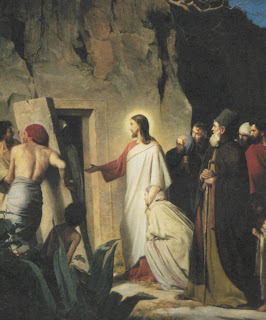 "Come forth, Lazarus!" But he came fifth and lost the job.